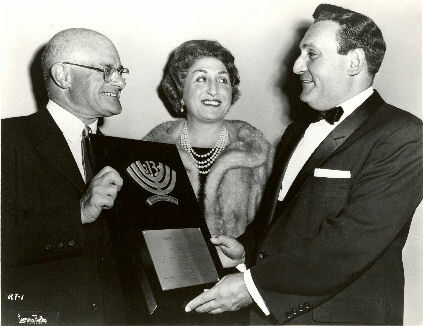 Richard Tucker was raised in a religious family and attended the Tifereth Israel synagogue on Allen Street on the Lower East Side of Manhattan. As a young man he sang alto in the choir of Cantor Samuel Weisser. This photograph was the first portrait made of Tucker in his cantorial garb. 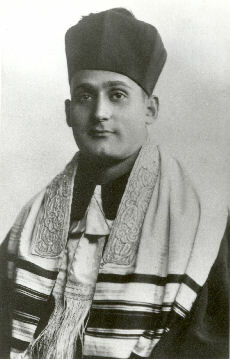 At the time this photograph was taken, he was still studying with Cantor Weisser to be a cantor and had not yet receive his pulpit. "About his son Rubin's boy-alto voice, Sam (his father) had no doubts at all. It had all the ingredients--a plummy tone, perfectly even vibrato, steady pitch, and a columnlike evenness throughout its range--to enable the boy to stand apart from other child singers. Confident in young Ruby's promise, and hopeful that his voice might ripen into a cantor's, Sam was determined to place his son's vocal development in competent hands. 'I was at the ripe old age of six,' Richard Tucker would later recall, 'when my father first took me by the ear to Cantor Weisser.' 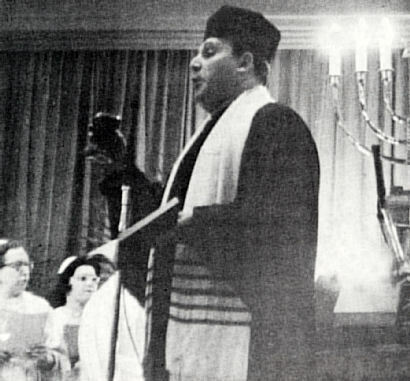 Samuel Weisser, born Joshua Samuel Pilderwasser of Bessarabian lineage, was cantor of the Tifereth Israel synagogue on Allen Street on the Lower East Side. 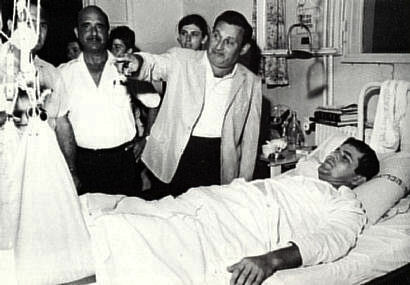 'Just like the biblical story of Jacob serving seven years,' Tucker was fond of saying, 'I sang as a boy alto in his choir for seven years...' He (Cantor Weisser) was demanding and selective, especially where young voices were concerned...The few genuinely promising voices--of which young Ruby Tucker's was one--he placed in the Tifereth Israel choir, where he could refine their technique and monitor their development. Under Samuel Weisser's tutelage, Ruby developed slowly but steadily. He spent nearly four years in the choir before he was given his first solo to sing at Tifereth Israel. Though there is no eyewitness account of this event, his delivery was probably marked by the same characteristics that his boyhood acquaintances remembered: he sang easily, he did not stray from pitch, and, most of all, he seemed completely free of his nervousness that sometimes marred other boys' solos. 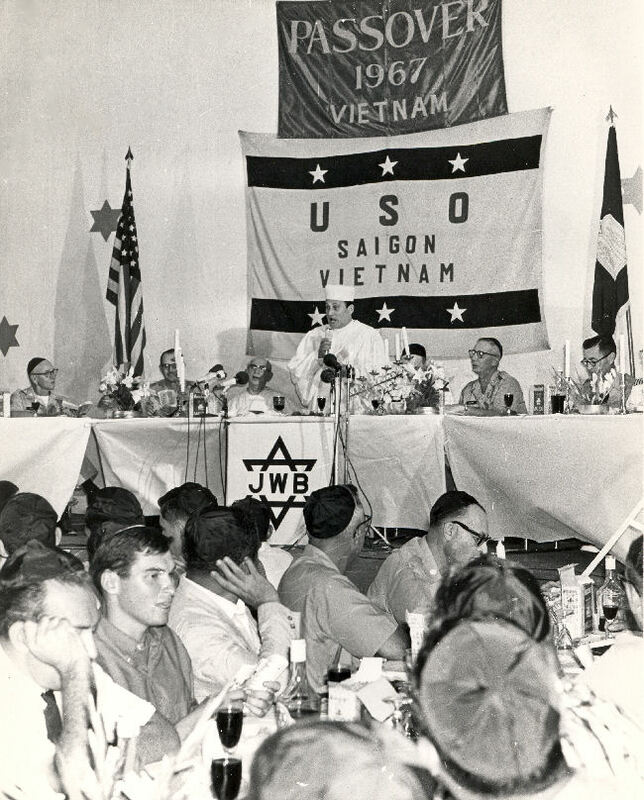 As his development continued, Weisser often took him along to weddings and other services, where he had Ruby chant the responses to the cantor's prayers..."